Sony has today announced during their E3 press conference that PlayStation 4 owners will be able to participate in the new PlayStation Now open beta testing development stage, which is launching on July 31st, 2014. PS Now provides gamers with a streaming game service that uses cloud-based technology to enable them to continue playing a game started on their main PlayStation 4 games console and continue onto their mobile PlayStation Vita handheld console. The new PS Now open beta development stage will be available to PlayStation 4 owners in the United States and parts of Canada and after successful testing will roll out to the older generation PlayStation 3 games console. “At the start of the open beta, over a 100 titles covering a wide range of genres will be available from SCE Worldwide Studios (SCE WWS) and the industry’s best software developers and publishers. SCE will work with its publishing partners to test various rental periods and prices, depending on how and when players would like to game. 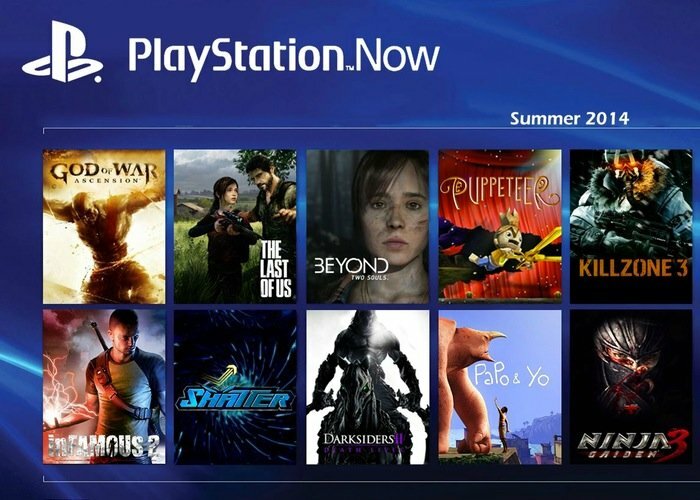 One the roll out has of PS Now has officially started Sony explains that the service will continue to expand, and SCE will begin a private pilot service for owners of PS Now compatible 2014 Sony TV in the US.